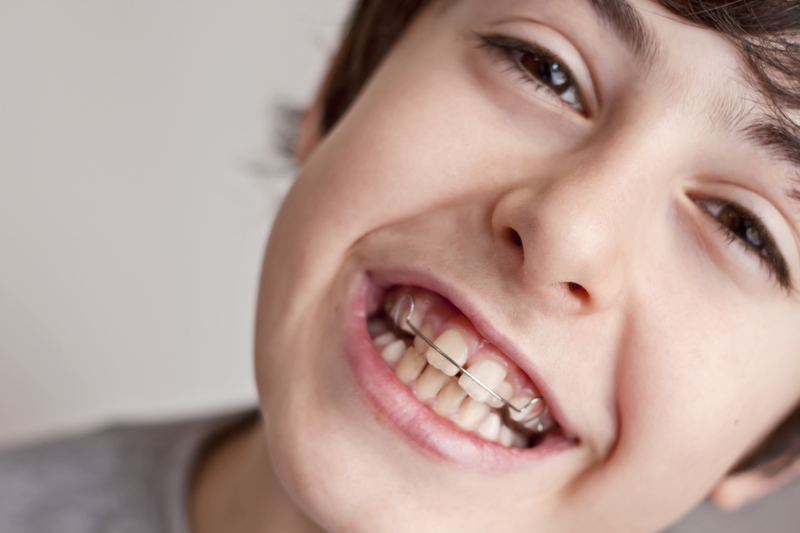 More than half the people that wear braces are children and teens. 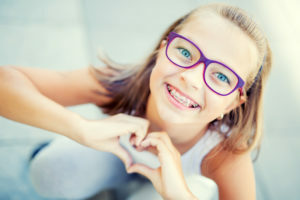 This can be an exciting time for kids to fix bite problems and crooked teeth. 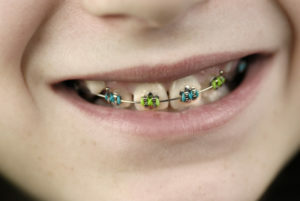 However, tooth decay and oral health problems also run rampant during braces if oral hygiene guidelines aren’t followed. Sometimes children and teens need a nudge to help them with their oral health. 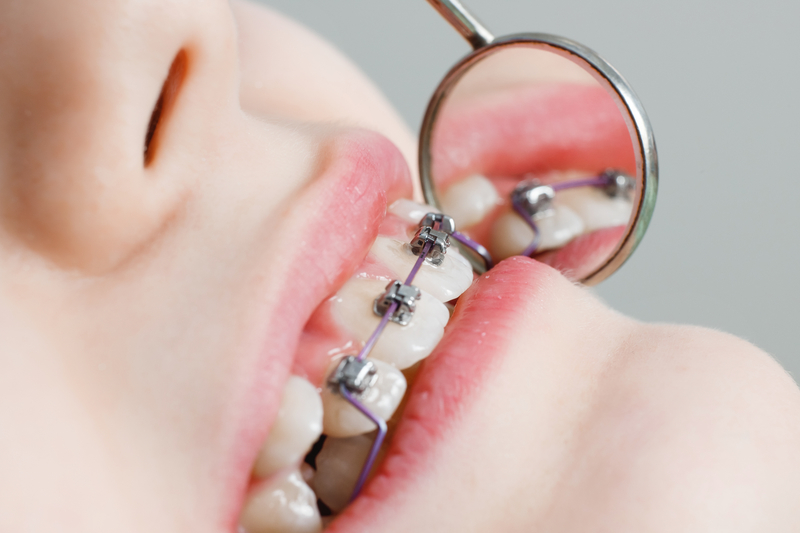 Find out what they should be doing to care for their braces during this time! 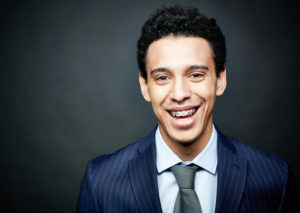 Did you know that there are over 4 million people in the United States each year that wear braces? About 1/4th of those are adults and the rest are children and teens. 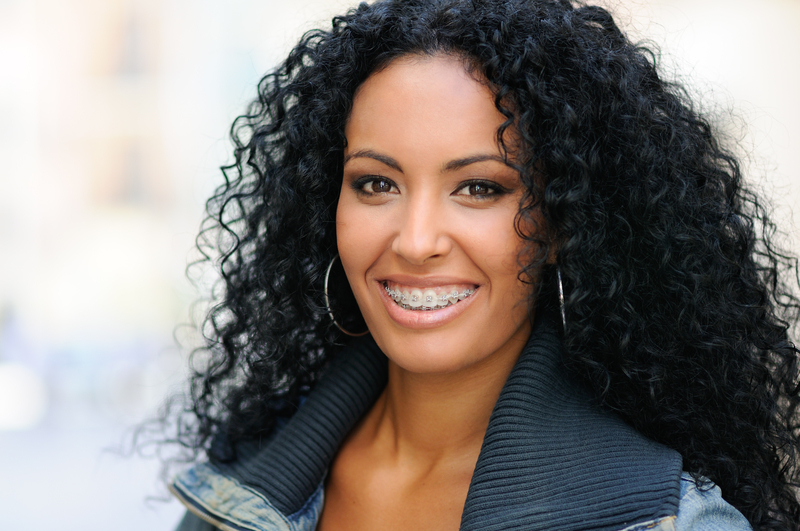 Patients use braces as teens to straighten the adult, permanent teeth that have come in. 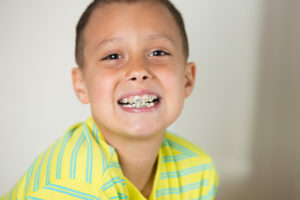 When children have child orthodontics, those brackets and wires are meant to correct bite and alignment issues that could cause a child severe problems in the future. 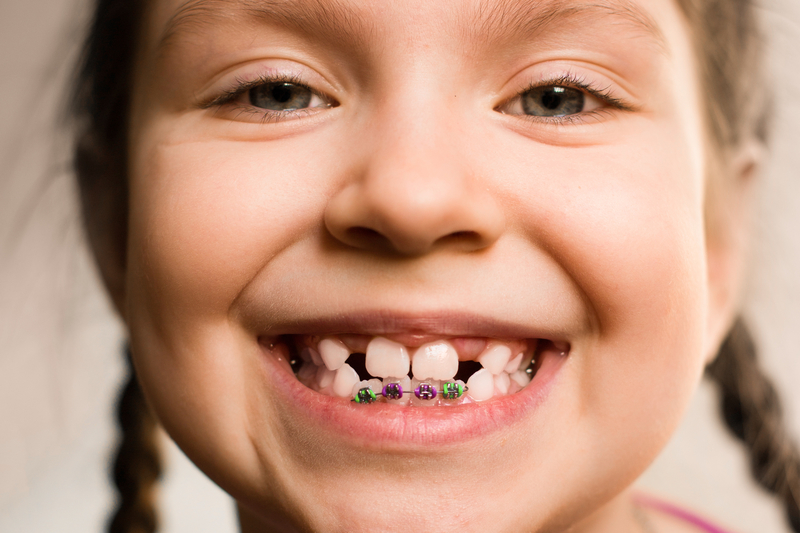 Children can then straighten their permanent teeth later on. 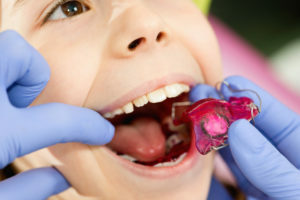 There are common oral health problems that many children face today. It’s called tooth decay, and the National Institutes of Health reports that it’s the most “prevalent, chronic disease” among children and adults. 42% of children will have tooth decay before they are 12. 23% of those will have untreated dental decay. About 92% of adults have had tooth decay sometime in their life. The worst part about this is that tooth decay is completely preventable if a child, teen or adult has good oral health through practicing proper oral hygiene. It may take several years for a child to have the right dexterity in their hands to brush and floss correctly. That is why parents must take care of their child’s oral health when they are young, or it could lead to serious problems. Children rely on parents to help their mouth stay healthy. Even teens need to be told to brush and floss, as it’s something they often forget. 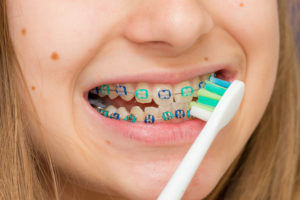 These habits are especially important during braces, as oral health is most affected when there are brackets and wires on the teeth. The American Academy of Pediatrics recommends that children see a dentist around 1 year or within 6 months of their first tooth coming in. After that, they should go biannually to the dentist. 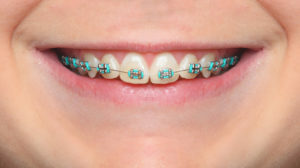 This is how a dentist can start to see signs of bite and alignment problems, which are then referred to an orthodontist. 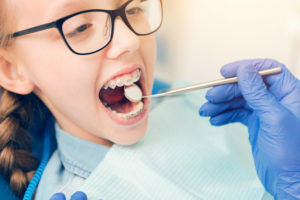 With some orthodontic appointments, a child can be fitted for braces to correct problems that are easy to fix with a young, moldable jaw, but hard to fix when a person is older and their jaws are set. Without braces, you will have to help your child brush and floss their teeth at least twice a day as the American Dental Association recommends. Use child toothpaste enhanced with decay-fighting fluoride and a toothbrush that fits the size of your child’s mouth. Children will need to floss between their teeth, but might have to start out with flossers for kids. 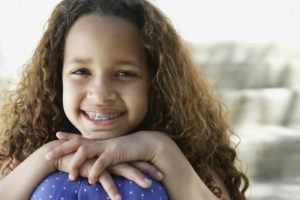 With braces, children should be brushing at least twice a day, but after every meal is even better. They should brush at 45-degree angles, making sure to move in all different directions to dislodge food that has been stuck in the braces. Flossing is incredibly important as well, as it gets 40% of tooth surfaces that are missed if flossing is skipped. Help them learn how to use threadable floss. This gets poked through the spaces between their teeth, pulled through, and flossed like you would normally do. Use a Christmas tree brush or a waterpik to help them dislodge stuck food. One of the best ways to help your child with their oral health is to show them its importance through your own actions. If you don’t brush and floss your teeth, your child or teen may not either. When you’re also not visiting the dentist, odds are that your child isn’t either. If you eat a poor diet full of sugar, then your child will do the same. Children often copy what their parents do. Make sure you are brushing your teeth at least twice a day, especially when your children can see you. Floss your teeth and teach them how to floss properly as well. 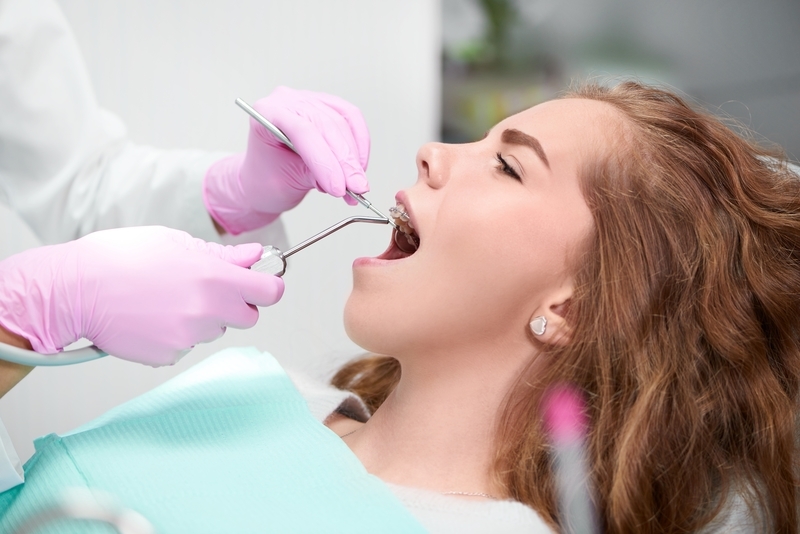 When you need to go to the dentist, take your children with you and have them get their comprehensive exams and cleanings. 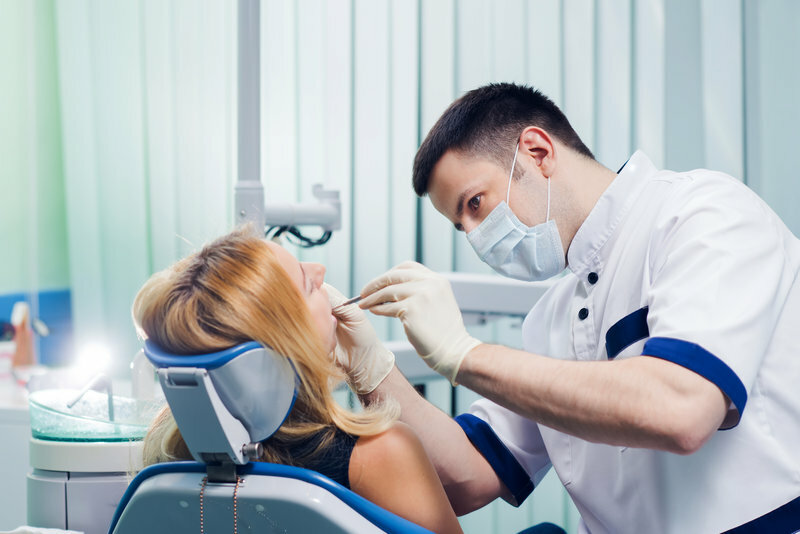 All these oral health measures will ensure their mouths stay clean and healthy for years! Your child can brush and floss their teeth often and may still end up with cavities. Cavities come from plaque in the mouth that has set on the teeth for too long. Your mouth makes plaque when you eat sugary foods and that sugar mixes with mouth bacteria to make acidic plaque. That acid is what causes the tooth decay. However, if you limit your sugar intake to begin with, you won’t have the problem with tooth decay. Unfortunately, sugar is one of the most-consumed substances in the world. It is literally found in almost every food. That is why tooth decay is so common, especially in children. 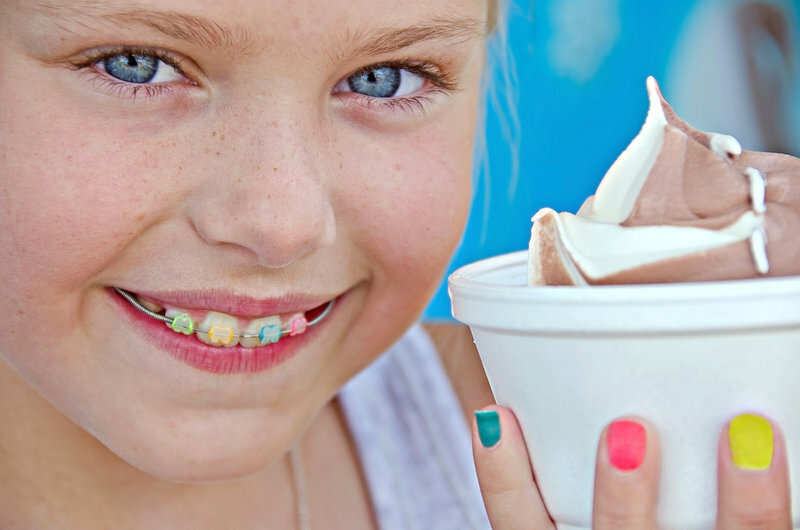 Limit your child’s sugar intake if you want them to have healthy teeth when their braces come off. 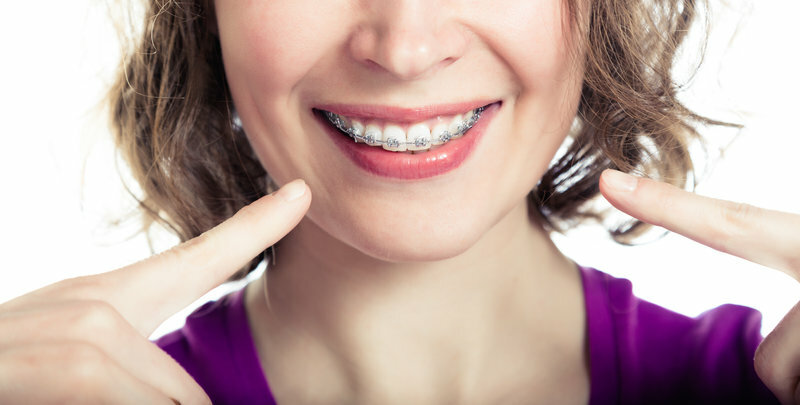 Teeth that don’t get brushed or flossed often with braces, may end up having cavities, gum disease and eroded areas of their teeth when braces come off. Their food can also leave them with squares on their teeth from the brackets, because the surrounding tooth has been damaged by food. Make sure to consider what your child is putting in their mouth if you want to help them have good oral health! 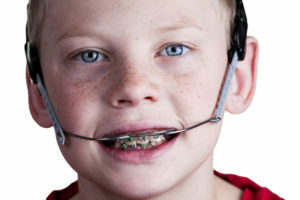 For more tips or answers to questions about your child’s braces, call Belmar Orthodontics today at (303) 225-9016!